Bellinter House is one of Ireland’s leading wedding venues and boasts various awards for excellent service and food. I reviewed Bellinter House not so long ago and it really is a personal favourite. I love to pop out for afternoon tea with my mum or the girls whenever the chance presents itself! For those of you who aren’t familiar with the venue, as you drive up the avenue, you are greeted with an impressive Georgian house but don’t let this exterior fool you. When you walk through the door you start to see a few contemporary nods and then as soon as you walk in to the lounge, you will see their iconic décor. One of my favourite parts is the floor to ceiling windows which overlook the Boyne and an outdoor patio area. I always feel super calm when I look out those windows. On the 8th of July, they are bringing you a wedding event not to be missed. They will be joined with wedding planner extraordinaire, Franc. 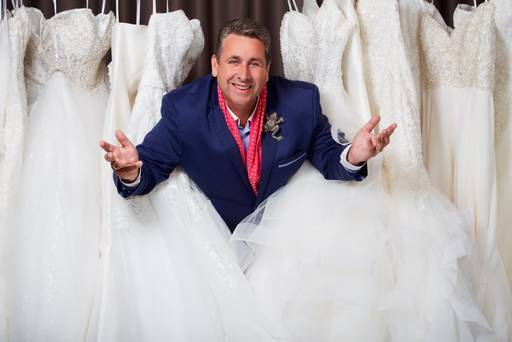 Franc will share some top wedding planning tips and explain how couples can personalise their wedding day. Prior to Franc taking centre stage, the Bellinter House wedding team will be on hand to give a guided tour through the venue. You will be able to explore the grounds and take in the options for your wedding reception. The main banqueting suite is one of my favourites. It is a really elegant room. This event should not be missed. To attend, you must reserve your space by getting a free ticket. You can pick one up right here! Click Here.